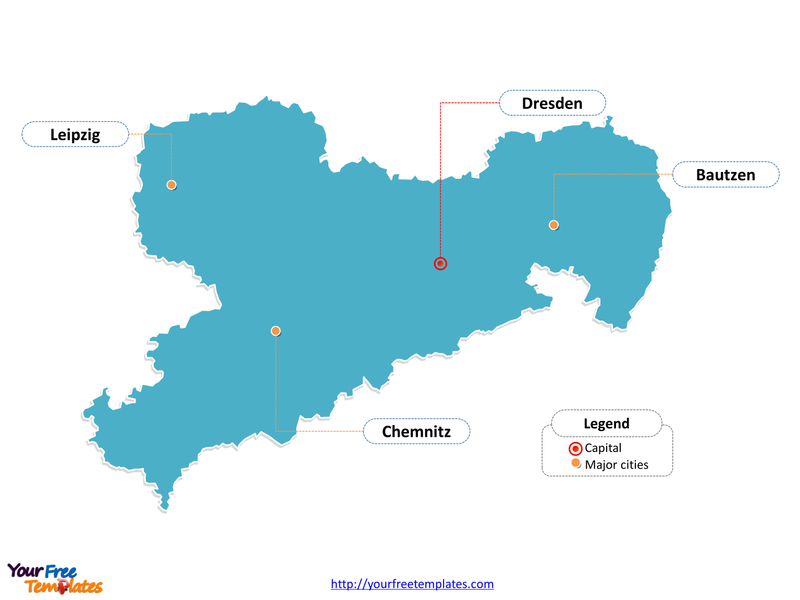 The Saxony Map free download Template (German: Freistaat Sachsen karte) in PowerPoint format includes two slides, that is, the Saxony outline map and Saxony political map. Firstly, our Saxony outline map template has capital and major cities on it, which are Dresden, Leipzig, Chemnitz, and Bautzen. Secondly, there are 10 districts and three cities in our Saxony political map template of divisions, labeling the most populated divisions that are Dresden, Leipzig and Chemnitz. The Freistaat Sachsen karte is our hand-draw map with more edges than other ordinary Saxony maps, giving more vivid map presentation for your target Germany state. Slide 1, Free download Saxony Map labeled with capital and major cities. Our Saxony Map free download is for the landlocked federal of Germany. Saxony borders on the German states of Brandenburg, Saxony Anhalt, Thuringia, and Bavaria, as well as the countries of Poland and the Czech Republic. It is well known that Dresden and Leipzig is the capital and largest city of Saxony respectively, furthermore, other major cities including Chemnitz and Bautzen. So our Saxony Map free download slide has the capital and major cities on the outline. Therefore users can edit the outline map to create their unique Saxony maps and apply in different reports. Slide 2, Free download Saxony Map labeled with major districts. The Saxony map is the state political division of 10 districts and three cities. The 10 districts are Bautzen, Erzgebirgskreis, Görlitz, Leipzig, Meißen, Mittelsachsen, Nordsachsen, Sächsische Schweiz-Osterzgebirge, Vogtlandkreis, and Zwickau. Three urban districts are Chemnitz, Dresden, Leipzig. 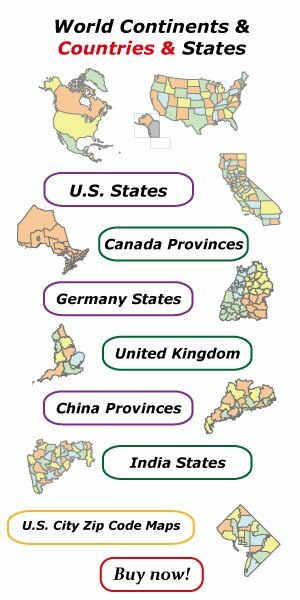 What is more, every individual political subdivision is an editable shape. In a word, you can change the texts, colors, sizes, highlight some map shapes, and add your charts. At the same time you can also refer to the fully labeled Saxony map in Wikipedia. 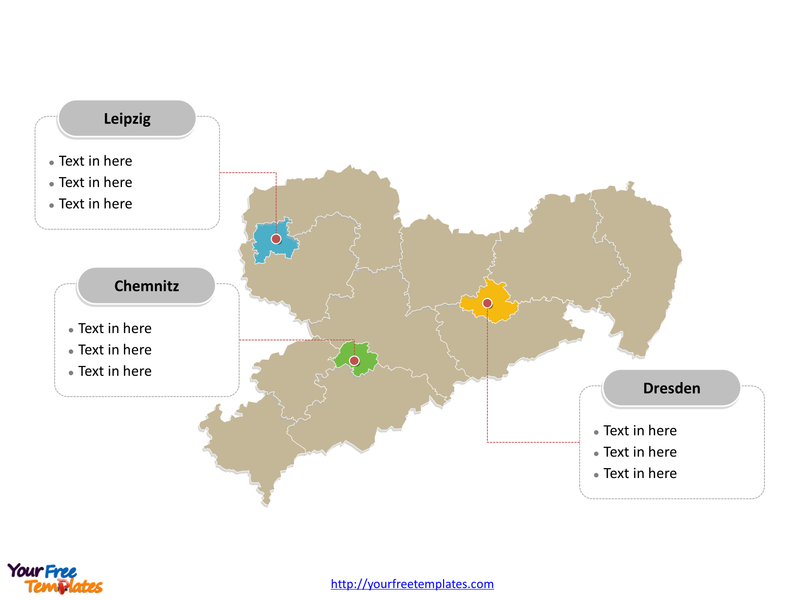 It goes without saying that analysts from marketing research companies, consultants from professional firms are very happy with our map templates; because our maps can help to reduce their efforts and create good-looking maps.